"The Situation Room is a Sensitive Compartmented Information Facility, or SCIF, where the nation's most consequential foreign policy decisions are made, and staff are not permitted to bring in cellphones or other recording devices." Ned Price, spokesman of the National Security Council in the Obama administration: "I’ve never heard of a more serious breach of protocol." Six months after the school shooting in Parkland, Fla., some of the surviving students are only becoming more active, more organized and more ambitious — ringleaders of a vocal, demanding, tech-savvy strata of their generation. Axios Future editor Steve LeVine traveled this weekend with a group of Marjory Stoneman Douglas High School alumni, who finished a summer-long bus tour yesterday in Newtown, Conn., home of Sandy Hook Elementary School. Why they matter: This looks a lot like the '60s. The students aren't much younger — and some are the same age — as the Kent State shooting victims of 1970. They're smart, snarky in a witty way, and — like the Woodstock generation — wise for their age. But they seem a lot less self-destructive. The Parkland activists are aware of the sheer spectacle of many baby boomers and millennial adults throwing up their hands over gun laws — and placing their hope for change in high school students. The student-led uprising is one of the most dramatic dimensions of an escalating, two-year run of U.S. activism that includes a record number of women running for public office, and teacher strikes in a half-dozen states. An anti-establishment strain runs through it. On right and left, those in the streets are feeding massive energy into the midterms, and could be decisive in both local and national races. When 17 of their classmates and teachers were killed on Feb. 14, the Parkland students collectively shouted: "Never again." But 12 more schoolhouse killings followed around the country. With the summer, the school violence stopped. On Wednesday, classes resume at Stoneman Douglas, and at countless other U.S. schools in the subsequent days and weeks. "It's going to take a cultural shift" before U.S. gun laws change significantly, Jaclyn Corin, president of the incoming senior class at Stoneman Douglas, told Axios at a raucous gathering yesterday in Newtown. "And a cultural shift always takes a generation or two." A group of Parkland classmates, following this spring's March for Our Lives, pulled off a 59-day summer bus campaign. 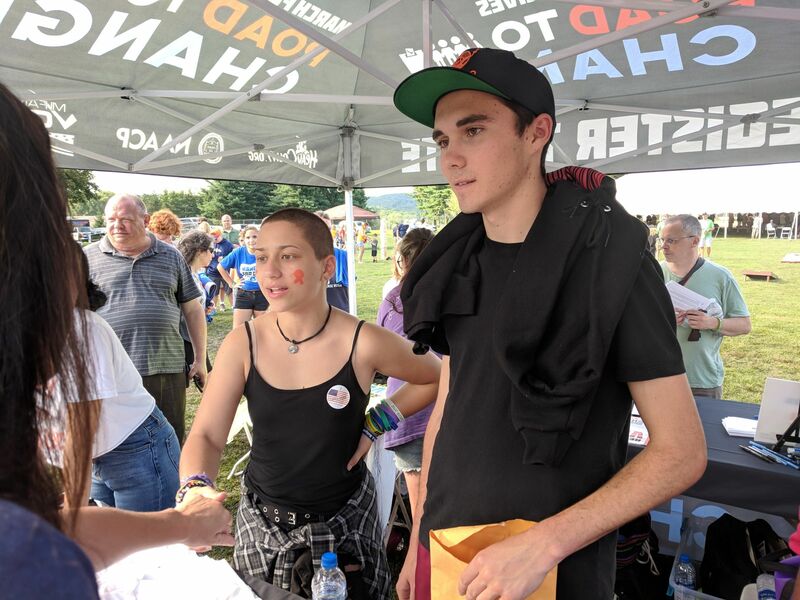 They hit some 80 cities and towns in two dozen states, working to register young new voters who might help defeat political leaders supported by the National Rifle Association, their main target. (The Parkland students say they're not anti-Second Amendment. Here are their stated demands). In New York on Friday, the group had swelled into a band of powerful high school orators from around the nation — Chicago, St. Louis, L.A. This fall, the students plan something even bigger: a get-out-the-vote drive that will leverage their vaunted influence on social media, especially Twitter. But at event after event, apart from the traveling students themselves, there appeared to be far more adults than their 18-and-older intended audience. Registration of voters 18-29 this year has barely budged from the pre-Parkland average, according to a Washington Post analysis. Be smart: The young organizers are going all-in on a strategy of not changing votes, but turning non-voters into voters. 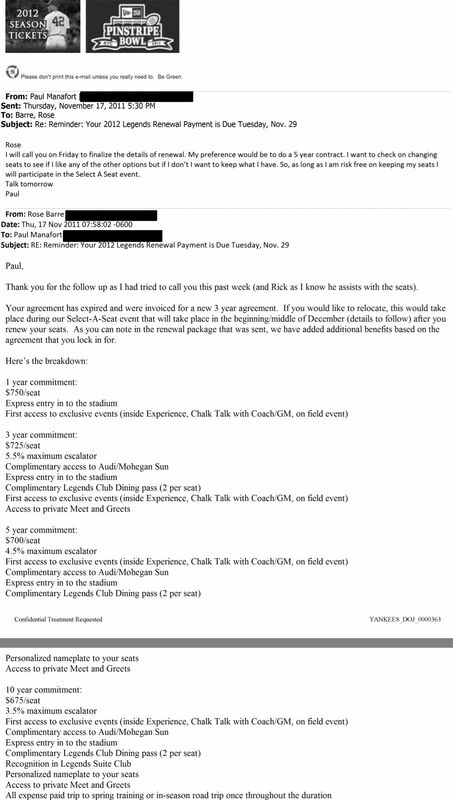 "Even with Location History paused, some Google apps automatically store time-stamped location data without asking." "Google stores a snapshot of where you are when you merely open its Maps app. Automatic daily weather updates on Android phones pinpoint roughly where you are." "And some searches that have nothing to do with location, like 'chocolate chip cookies,' or 'kids science kits,' pinpoint your precise latitude and longitude — accurate to the square foot — and save it to your Google account." Why it matters: "The finding is the latest instance in which a technology company has violated its own promises to protect user privacy." "The privacy issue affects some two billion users of devices that run Google’s Android operating software and hundreds of millions of worldwide iPhone users who rely on Google for maps or search." Response from a Google spokesperson: “There are a number of different ways that Google may use location to improve people’s experience, including: Location History, Web and App Activity, and through device-level Location Services." Google products, including YouTube and Waze, accounted for 34.2% of all time on digital media in June, per Pivotal Research analyst Brian Wieser. 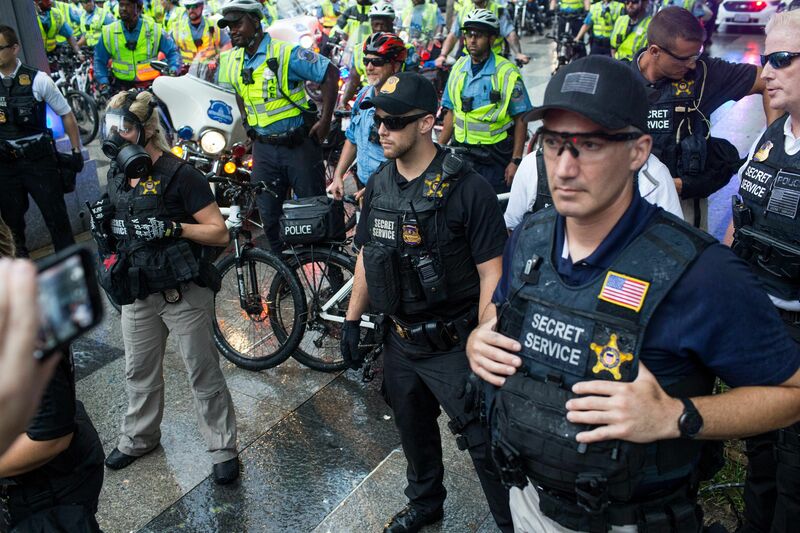 "A year after deadly violence in Charlottesville, Va., became a nationwide symbol of polarization and mayhem in the Trump era, ... police managed to keep the opposing groups apart." 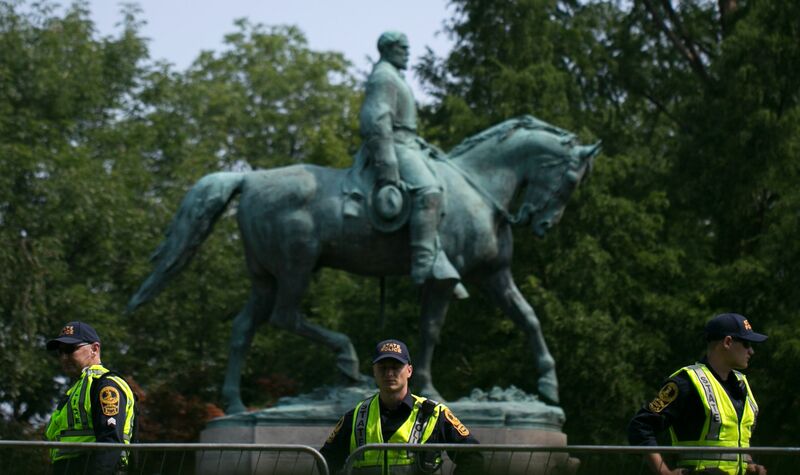 A "few dozen white nationalists [were] surrounded by barricades and vastly outnumbered by police, let alone the thousands of counter-demonstrators." 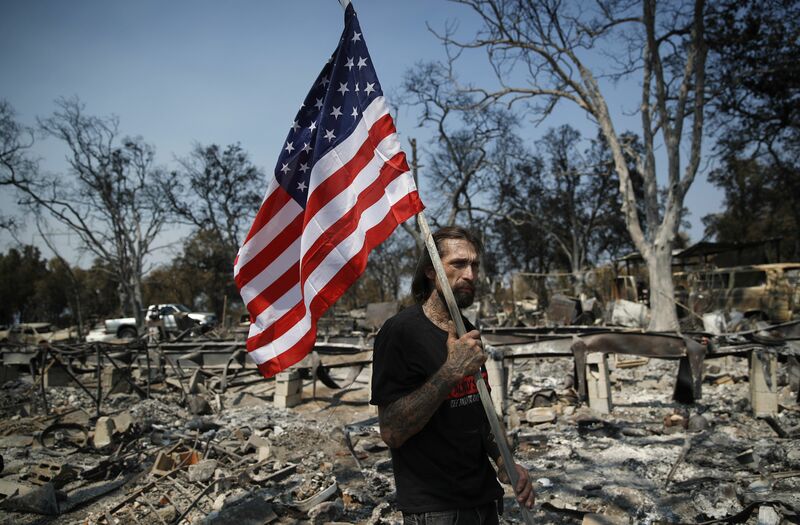 Freddie Cox carries a flag to plant at the charred remnants of the home of his godfather, Ed Bledsoe. Bledsoe's wife, Melody; great-grandson, James Roberts; and great-granddaughter, Emily Roberts, were killed at the home. 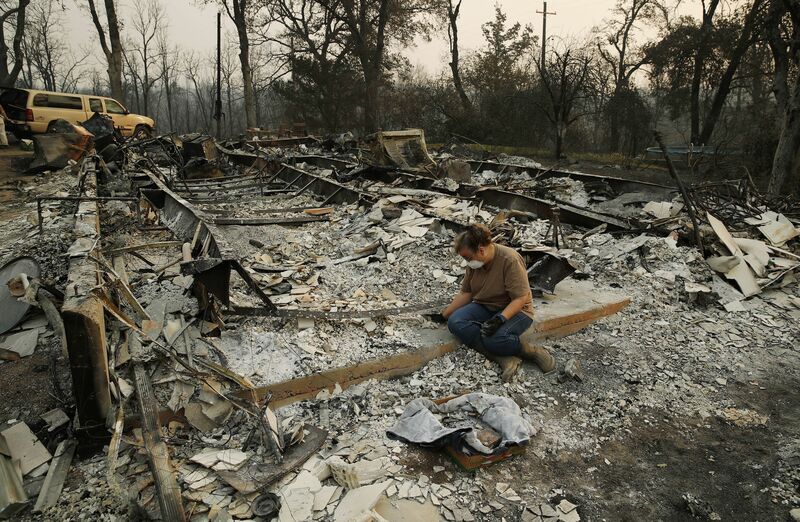 Below, Kim Burns sifts through the rubble of her home. "Virgin Galactic passengers will spend about ninety minutes in the air ... After the rocket-boost portion of the flight, during which SpaceShipTwo will shoot upward at nearly ninety degrees, passengers, released from gravity’s pull, will be able to unbuckle their harnesses and float in the cabin for about four minutes, taking in stunning views of the Grand Canyon, the California coastline, and the Baja Peninsula. Like tour-bus drivers, the Virgin Galactic pilots will help passengers identify celestial bodies and terrestrial landmarks that can be seen out the window. For now, this itinerary remains a fantasy." The players: "The Virgin conglomerate is owned by Richard Branson, the British billionaire, and Virgin Galactic is one of three prominent startups that are racing to build and test manned rockets. Its rivals are Blue Origin, which is owned by Jeff Bezos, the founder of Amazon; and SpaceX, which is owned by Elon Musk, the founder of Tesla." "The companies have different visions for the journey. 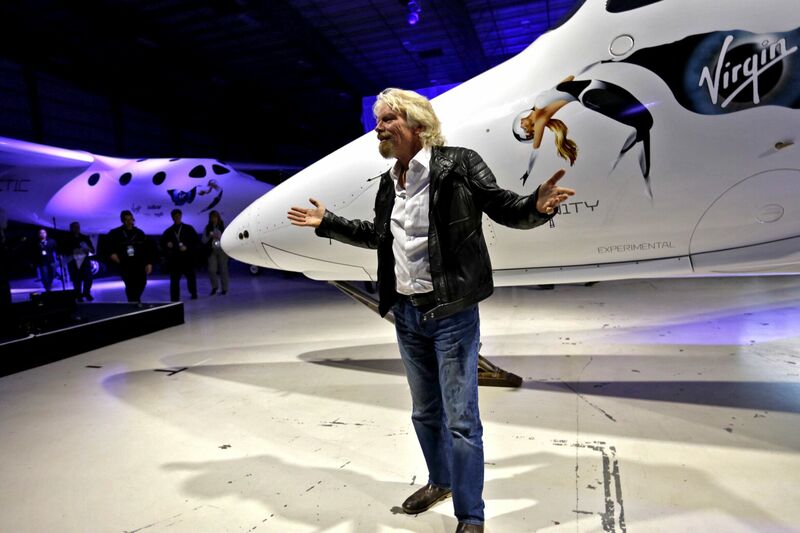 Virgin Galactic plans to take half a dozen passengers on a 'suborbital' flight, cresting at more than fifty miles above the Earth. Blue Origin has a similar altitude goal for its first manned flights, but it is developing the kind of vertical-launch system that one associates with NASA rockets. SpaceX is perhaps the most ambitious: Musk wants to colonize Mars." "And for many in Trump’s political base, seeing Trump Jr. in the crosshairs of special counsel Robert S. Mueller III may be more of a benefit than a drawback." Republican strategist Mike Murphy: "In a normal Republican universe ... a guy like Don Jr. ... would be very problematical ... But in the new Trump universe, with different laws of gravity, every campaign is seen as just a big Republican primary." David Bossie, Trump’s former deputy campaign manager: "He is fundamentally educating the American people that we must have a Republican House in November, because the alternatives are first and foremost the impeachment of his father." Cliff Sims, a former White House and Trump campaign staffer: "Don is a chip off the old block ... He’s a savage on Twitter and a force of nature on the stump." "The formidable parade of more than 20 witnesses and hundreds of exhibits has further eroded the notion, advanced by President Trump, that the special counsel ... is on a 'witch hunt.'" "The trial is also a spectacle of small humiliations for Mr. Manafort, 69. His once perfectly coifed dark hair, admired by Mr. Trump, is now gray and shaggy without the benefit of a stylist." "His shirts, which he once bought by the half dozen for $1,500 each, are now delivered by his wife to his lawyer in a white plastic bag." Shine, 55, the White House deputy chief of staff for communications, worked for 20 years at Fox News as #2 to Roger Ailes — like Trump, "a mercurial, headstrong, conspiratorial, and punishing boss." Kellyanne Conway, counselor to the president: "Bill has spent decades on the other side of the camera. 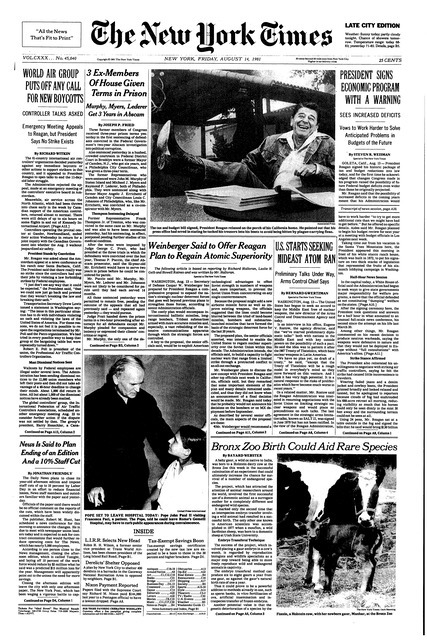 This allows for a deep-breath frame of reference sometimes lost in the din and churn of nonstop 'news.'" A senior White House official: "Shine learned from Roger Ailes that two things get media attention: pictures and problems ... He looks at things visually, which is how Trump sees things." "Shine has told people he wants to 'lower the temperature' on the toxic relationship between the press and the president." Why it matters: Atkins represents the leading edge of what could be a new, high-value market for coal after decades of being America’s cheapest power source. To some historians, this may sound familiar. America used coal for things other than electricity more than a century ago. But today's technology enables much higher tech, according to a scientist at an Energy Department lab in Pittsburgh, which has stepped up its research in this area. 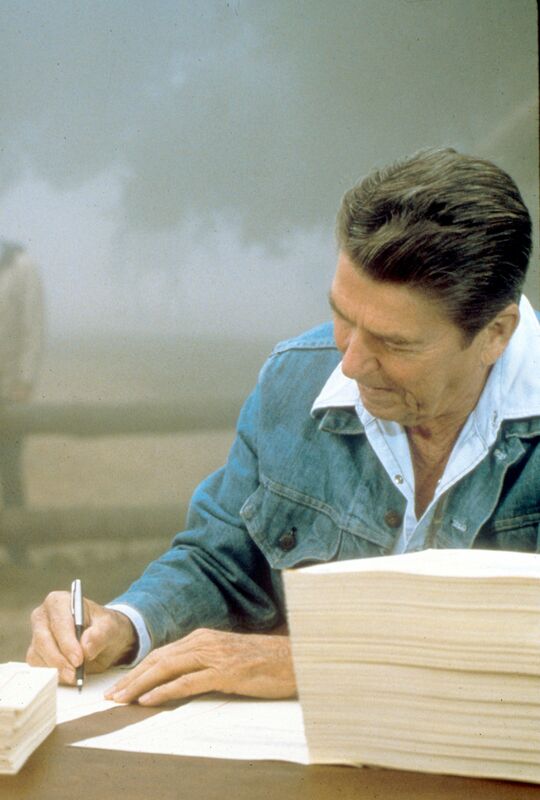 37 years ago today: Aug. 13, 1981 ... President Ronald Reagan signs a historic budget package (Kemp–Roth Tax Cut) at his ranch near Santa Barbara, Calif. This was the first major legislation signing that took place at his ranch. Reagan alumni recall that the president spent most of his time there riding horses, mending fences and pruning trees. 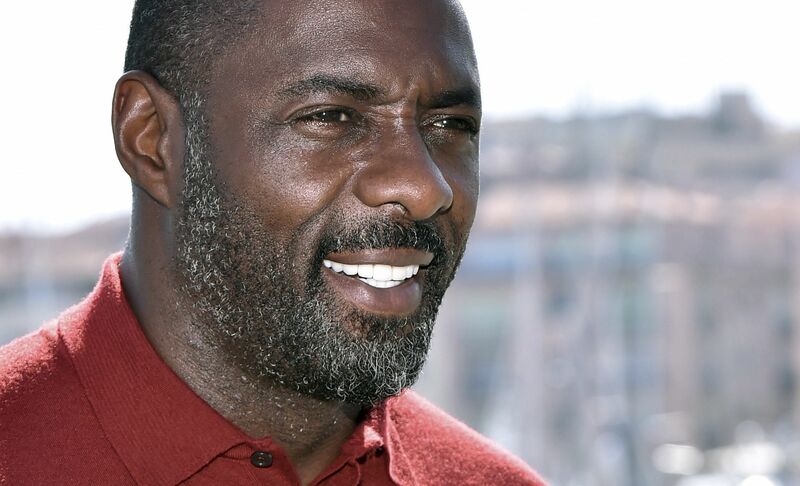 "The star of shows such as 'The Wire' and 'Luther' [yesterday tweeted] an artistic selfie under the words 'my name's Elba, Idris Elba,' echoing the spy's famous catchphrase." "American film producer Antoine Fuqua stoked long-running speculation about Elba taking on the role last week, when he told Britain's Daily Star that Bond movie boss Barbara Broccoli had said 'it is time' for a non-white actor to play agent 007." "But before fans go overboard, Elba posted another tweet a few hours later saying, 'Don't believe the HYPE... '"